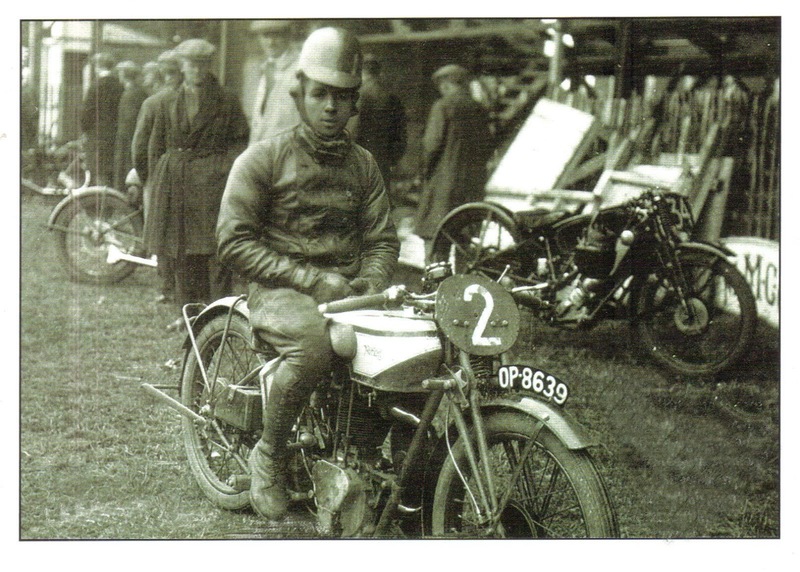 -SG- 'The Classic Motorcycle' magazine recently published a poster of the start of the 1927 Senior TT. The photograph concerned has appeared before in this magazine in '84 with an accompanying article by then editor Bob Currie. It is worth drawing attention to the chap who started as number 2 on the grid - see scan. This was Len Stewart, an Australian and leading rider on the grass/dirt in his homeland at the time. He is mounted on a works Norton and how he came to be given a works ride is lost in time but, knowing the rivalry which existed then and now between Australia and New Zealand, it would not surprise me if the fact that New Zealander H H Moller was given a works ride the previous year did not have something to do with it! Be that as it may, Len Stewart's only foray into the TT ended abruptly when he fell off on, I think, the first lap. And if it's any consolation to our Aussie friends, Moller was just as unsuccessful! However, the question still comes up from time to time: was Len the first person to ride in the TT on an OHC Norton? The TT start photo only shows the drive side of his bike of course - which tells us nothing - but there are those in Australia who think he deserves this minor claim to fame. However, the only photograph of him that I have located - attached, with practise numbers - shows him in the paddock mounted on an OHV cradle framed machine - fore-runner of the ES2 and incidentally without enclosed push-rod return springs. 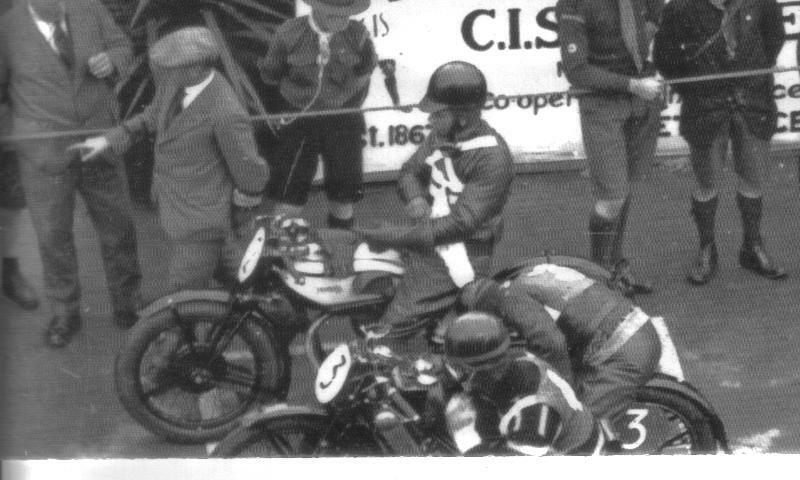 I have checked all the post-race reports I can find and none mentions - hardly surprising - which actual model he was riding, other than that it was a Norton. So if anyone can shed further light on this conundrum, let's be hearing from you!